Released in May 2016, “Saving Jane Doe” is available at these fine retailers or ask your favorite bookstore. Currently available in e-book formats. Suffering complications of an illegal abortion, a young mother of three nearly loses her life and does lose her family. No Easy Way Out is the story of her quest to restore her relationship with her children told by the young doctor who meets her while a medical student and becomes her lifelong friend. When Jessie is homeless, penniless, alone, and jobless, Dr. Cara Land finds her a job working as housekeeper to a wise and wealthy, elderly widower, Cara’s Uncle Henry. Because of her circumstances following the abortion, Jessie finds herself with unique opportunities to be of assistance to each of her children when they face their own difficult choices, but honesty and forgiveness are needed before she can help. Because of her shame, it takes years for Jessie to be honest with her children about why she suddenly left and did not return home. Two of the three children feel abandoned and unloved and have difficulty forgiving her. Only, Grace, the youngest daughter and least flawed character, never withdraws in anger but in her innocence still suffers. You will want a doctor and friend like Cara Land. You will wish you had the wise counsel of Uncle Henry. You will see that while our choices have consequences, God is able to redeem our mistakes, to make us wonder what might have happened had we not made them. Of course, had we not made these mistakes, we would have made others. Finally, you will see that there is power in love and forgiveness. “I have just finished reading Saving Jane Doe. I could not put it down. I cannot tell you how it touched every fiber of my heart. Life is hard and I have experienced some of that as do we all before we leave here. However, I have had to deal with some issues that you wrote about in your book and this has helped me see the other side of those issues which I needed to see. The choices we make are not always cut and dried, so to speak. So, thank you from the bottom of my heart for this book and your experiences of dealing with life and death issues. There is always another side to every story and God knows both sides. Praise the Lord for His wonderful and ever present Grace to each of us. I am so thankful I am His and He is mine! 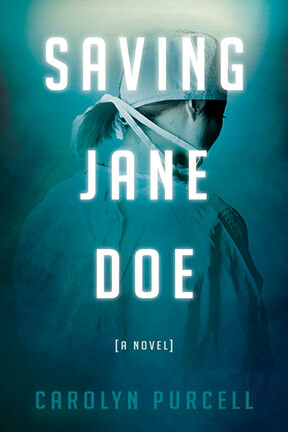 “I finished “Saving Jane Doe” last night and really enjoyed it. It was hard to put it down! One of my measures of an excellent book is wondering what happens to the characters next and thinking about them for several days after finishing the book! Well, you accomplished that! I LOVED Uncle Henry!